This week marks 242 years since the U.S. declared its independence, and it turns out, time doesn’t erase the lessons we can learn from our Founding Fathers. 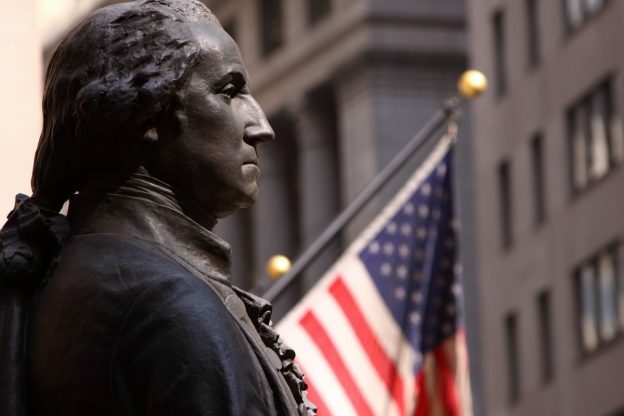 While Benjamin Franklin, John Adams, Thomas Jefferson and the rest of the gang were busy leading a revolution, they were also setting solid examples that could be applied to business centuries later. Below, we take a look at some of the lessons PR professionals can glean from our Founding Fathers. Before July 4, 1776, no colony had ever broken free from its mother country, so it’s safe to say that a much easier route for our Founding Fathers would have been to stick with the norm and remain under British rule. Luckily, complacency didn’t sit well for our Founding Fathers, and the rest is history. In public relations—and in any area of business—maintaining the status quo will always be easier, but “it’s how we’ve always done things” is a phrase we should all avoid. The industry changes too rapidly to stay in our comfort zones for too long. Make time to explore new strategies, whether that means incorporating SEO into your press releases, reaching out to a reporter through social media or taking a moment to rethink your media relations approach. The mighty British troops were world-renowned—and the American troops paled in comparison. Still, the Founding Fathers believed in what they were fighting for and knew that moving forward toward their goal was all they could do. Panicking and second-guessing would only have detracted from their mission. When you’re not clearly focused on your desired outcome, it can be easy to get distracted by obstacles in your path. Keeping your cool, though, can help you better strategize and see potential solutions that maybe you hadn’t thought of yet. For instance, as a PR professional, maybe your ultimate goal is to garner coverage for your client in respected business publications. When you approach this calmly, you might uncover new angles you hadn’t originally thought about—and those new ideas may land you the coveted coverage you were after all along. This one is pretty obvious: The Founding Fathers championed the cause of “life, liberty and the pursuit of happiness.” Guided by this purpose, the Founding Fathers knew they were a part of something bigger than themselves. Working for a company that is clear on its purpose and values makes all the difference, no matter the field you’re in. At Marketwave, the following purpose statement reminds us every day why we’re doing what we’re doing: We create connections that move people. Along with our values, this purpose statement crystallizes who we are and why we exist as a company. It shapes our decision-making and inspires our work. And while we may not be leading a revolution on a grand scale in the same way as our Founding Fathers, we like to think we’re creating our own ripples that have far-reaching impacts for our clients and community. This Fourth of July, take a cue from our Founding Fathers and find ways to stretch your limits, challenge your beliefs and find meaning in your everyday work. There are currently no comments so why not add the first one?